The way the Internet works nowadays allows more and more people to easily start their own online business, regardless if what they’re selling is virtual or not. With so many options and online platforms, it has become much easier to set up your online shop and then promote it on social media to attract new clients. But for an eCommerce business, the main thing that represents your brand and your goal is your website. If you’re a business owner, you should keep in mind that the way your eCommerce platform looks and works is a crucial aspect that can make or break your business. You should make sure that your online shop communicates the right thing and it has all the necessary features and options that will transform visitors into clients right away. We all know that there are a lot of website templates created especially for eCommerce websites and not all of them will make a huge hole in your pocket. Actually, there are some very good themes out there that can be used completely free of charge. Most of them come packed with all the features you may need, so we recommend them to anyone that’s just starting in the eCommerce business and wants to experiment with different layouts, designs and more. Or even to someone that wants to make a makeover of their already existing online shop. Here is our handpicked selection of 25 of the best free eCommerce WordPress themes that will help you achieve the perfect results for you and your business. All of them combine great design with full functionality and a lot of customization options. We strongly believe that many of the WordPress themes below will suit a wide range of niches, projects and needs! If you’re looking to create an online shop for your business using WooCommerce, then Leto is the perfect choice for you! This theme is so versatile that it can work for any type of online shop you might think of! Leto lets you add eye-catching headers where you can showcase your most important information or products and attract new customers! You can even add video, choose from a huge color palette and font options and more! 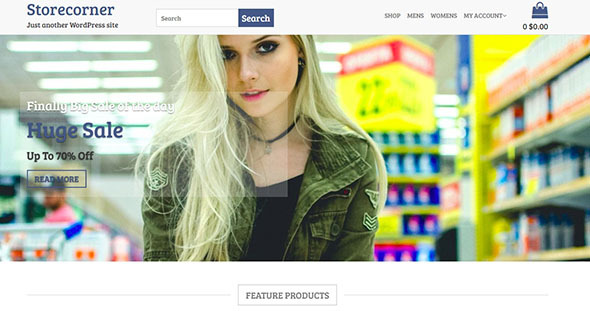 The Shop Isle is a powerful WordPress theme that’s also completely free to use! Shop Isle is a perfect choice if you’re looking to create a simple but effective online shop. This theme comes with a beautiful layout based on the powerful Bootstrap system – this means that your online shop will always look and work perfectly on any device, browser and screen size! The best part about this template is that you can use the awesome WooCommerce plugin with it! 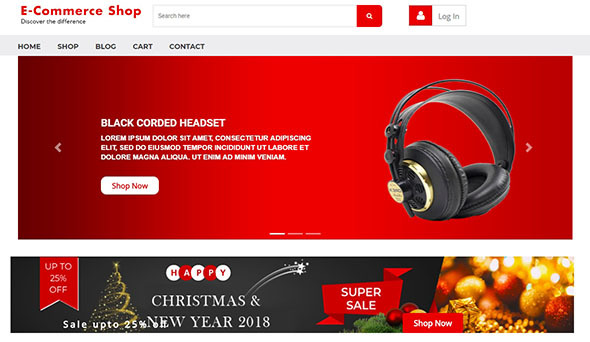 TheShop is a stunning eCommerce theme created especially for people who are looking for the best features available out there! This theme has an eye-catching design and it even comes with a gorgeous slider and a product carousel that will impress your visitors and clients for sure! TheShop comes packed with all the features you will ever need – color palettes, WordPress Customizer, over 600 Google Fonts and much more! If you’re looking for the perfect combination of beautiful design and full functionality, then Vantage is your answer! 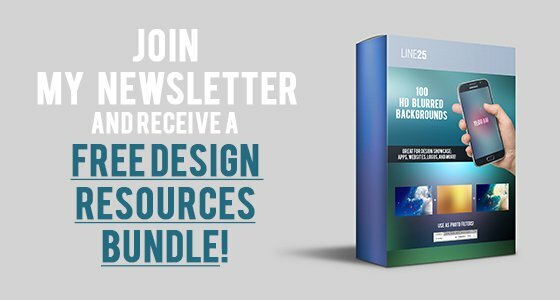 This theme offers you the possibility to add great icons, catchy headline texts, full-width sliders and more! Best part? Vantage is completely free to use even though it comes with a lot of premium features and options! 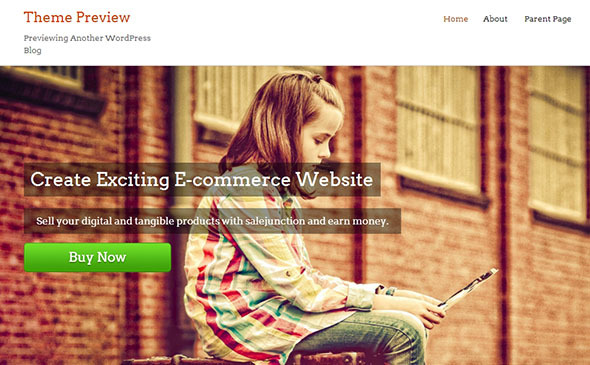 Intuition is a fully responsive theme that can be successfully used for any free online shop. 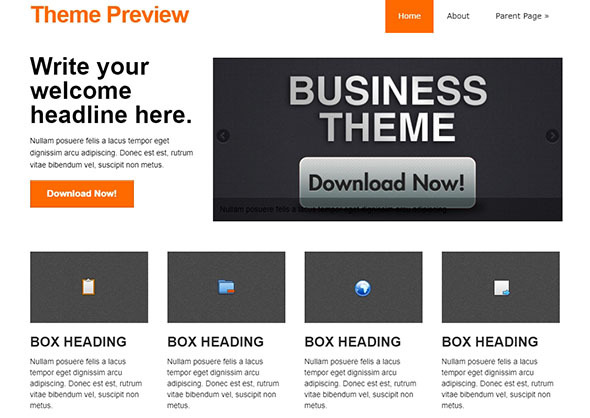 This theme has a strong focus on your content and it comes with lots of options and features. Intuition even allows you to add animated sliders and featured blocks to your website which means you can easily attract the customers with great designs! Last but not least, this template comes with lots of powerful plugins such as Contact Form 7, WooCommerce, Yoast SEO and WPML for translation. We strongly recommend ‘Make’ if your goal is to create a stunning eCommerce website fast and with no effort! Make can be used by people who don’t have any previous coding knowledge. This theme comes with a lot of eye-catching design options such as galleries, banners, sliders and more! Make is super easy to install and customize thanks to the intuitive builder and clean code. You can even choose from tons of free Google Fonts and lots of plugins! Here we have SaleJunction, an awesome WordPress theme for eCommerce websites that’s completely free to use for your projects and idea! This theme comes with the powerful WooCommerce plugin already integrated which will make your life much easier! The free version has a stunning orange color palette and an eye-catching full-width slider that you can use to customize your online shop! 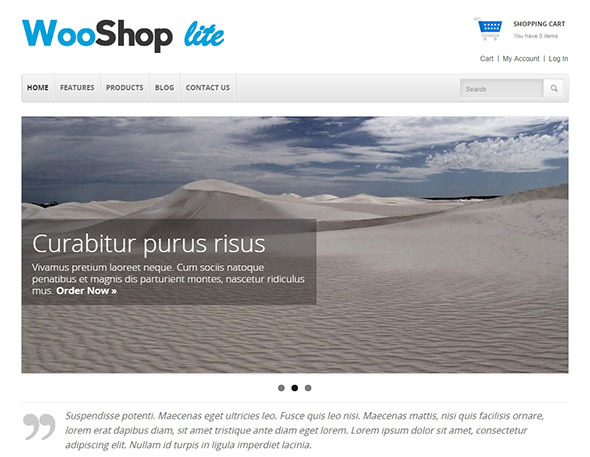 Llorix One Lite is a great website template that will help you create stunning and fully functional online shops. This theme comes with a very user-friendly design and lots of useful features. You should know that you don’t need any coding knowledge to use this powerful theme! 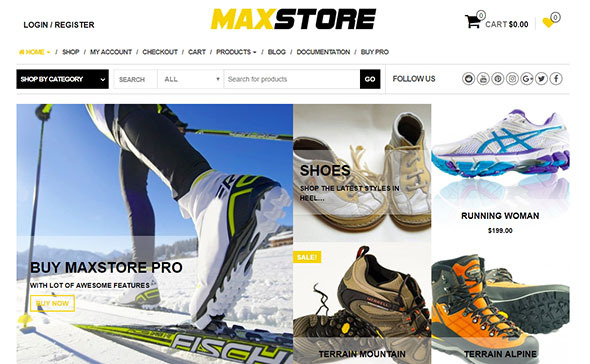 MaxStore is a free WooCommerce WordPress Theme that can easily be used to achieve stunning results for your online shop. We strongly recommend it for any fashion, digital, handbag, jewelry, cosmetics store and much more! 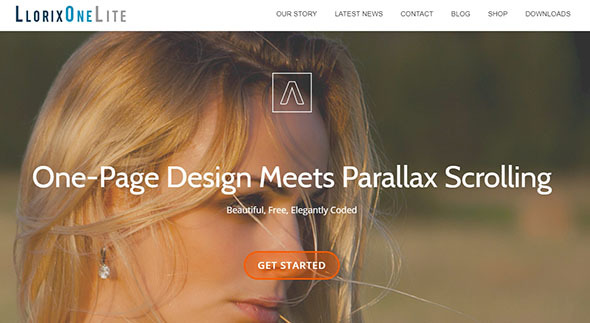 This theme has a very modern and clean design with a fully responsive layout! 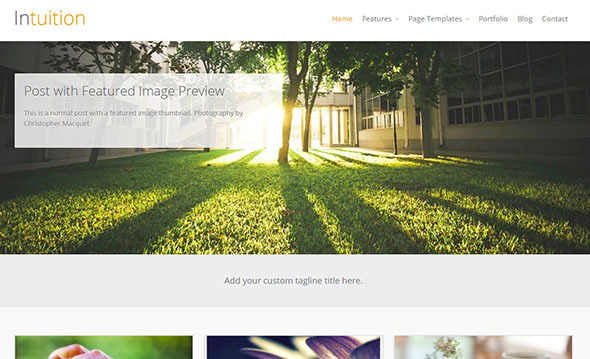 Seller 1.2 is a very powerful and versatile website template. This theme comes with the amazing WordPress’ Powerful Customizer that will help you achieve the perfect result for you and your project in minutes! Seller works with the WooCommerce plugin which will make your online shop so much better! 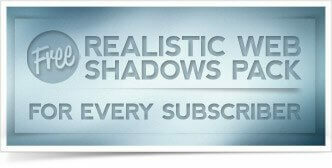 Some other features include a stunning slider, footer widgets, lots of layouts, fully responsive design and many more! If you still haven’t found what you’re looking for, then we suggest taking a closer look at WooShop Lite. This is one of the best choices on the market if you’re looking to create a fully functional website without any costs! WooShop Lite will give you the possibility to link your Facebook page, Twitter and even Google+ directly from the footer area. It will also let you create stunning sliders and menu dropdowns. If you want to step up your customization game, you can even use some of the powerful shortcodes that this theme comes with! 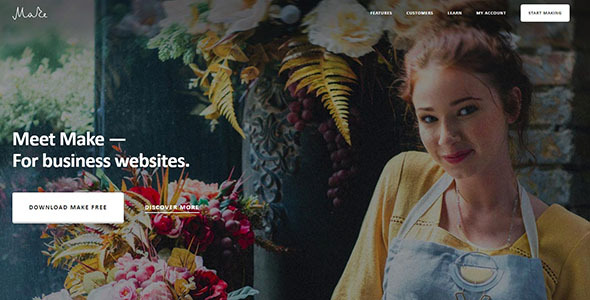 Terrifico is another great example of a very versatile and creative WordPress theme that can be used completely free of charge! This theme combines a great design with great features and functionality for an unforgettable result! Terrifico lets you customize a wide range of elements including the colors, logo, typography, slider, footers, header and much more! You can even pick from the Free Google Fonts. Last but not least – Terrifico is fully responsive so you can rest assured that your online shop will always look and work great! If you want to create an orange and white online shop, then look no further than ‘Discover’! 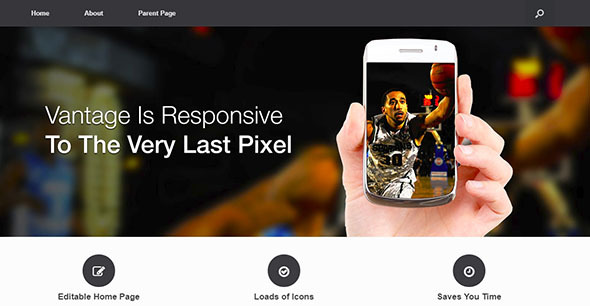 This is a fully responsive website theme that comes with lots of useful features. This theme will allow you to add different widgets, stunning headers and a very cool drop-down menu. Discover also comes with great typography choices. 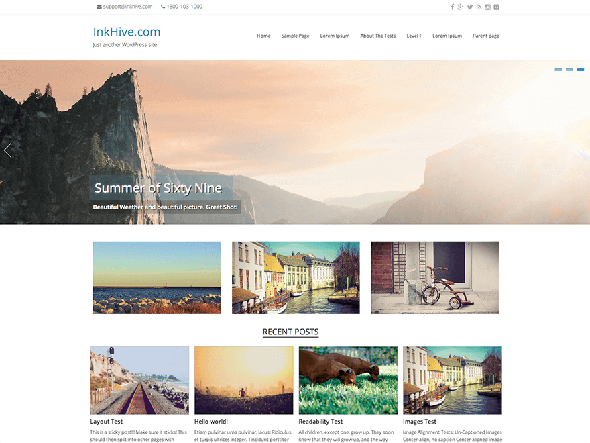 You should also know that this free theme is compatible with WooCommerce which makes everything better. Customizr is another perfect example of an eye-catching and versatile WordPress theme that was created with successful online shops in mind. Customizr comes with an impressive design and a fully responsive layout that will look and work perfectly on any screen size and device. 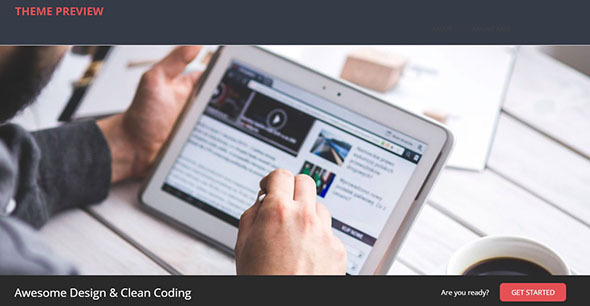 This theme is extremely easy to install and customize and you won’t need any coding knowledge to achieve the best results. In case you want to take your online shop to the next level, then take a look at Digi Store. This free website theme can be used for countless online shops and it offers unlimited customizing options. 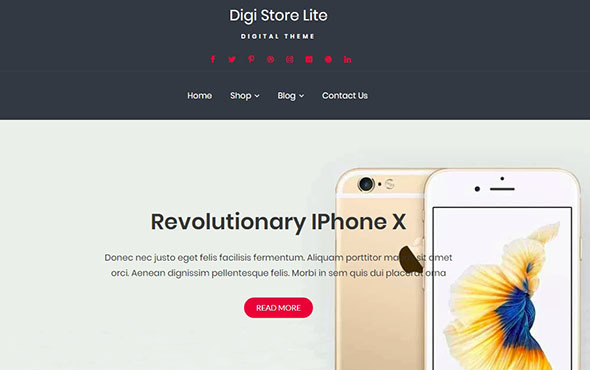 Digi Store was built on top of the powerful BootStrap CSS framework which will guarantee that your online shop will always look and work great. This theme is also compatible with WooCommerce which will help you setup and customize your online shop! 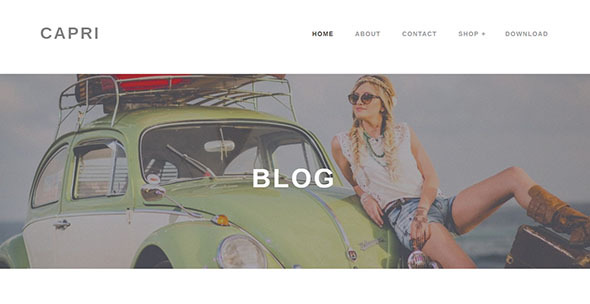 If you still haven’t found the perfect free website template for your ideas, then we think VW might be a great choice. This theme comes with a fully responsive layout based on Bootstrap 4, clean and well-organized code, WooCommerce compatibility, SEO Optimization, a versatile design and many more! FashionPoint is one of the greatest WordPress themes created especially for online shops that’s also completely free to use. This theme comes a stunning design that can be easily customized and lots of great features that will make your website truly unforgettable. You should also know that FashionPoint is a child theme of StoreOne. 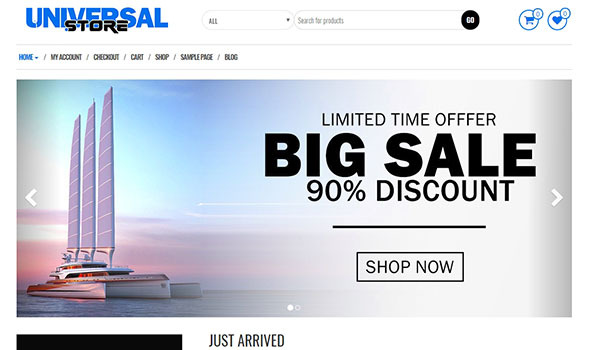 Universal Store is a very versatile and easy to use WordPress theme that can be used with the awesome WooCommerce plugin. We believe that this theme can work perfectly with a wide range of online stores including fashion, digital, jewelry, technology and many more! Universal Store has so many useful features that it will be very easy for you to achieve the desired result. If you’re looking for the perfect multipurpose and modern WordPress theme that can be used completely free of charge for your business, then Store Corner is a perfect choice for you. Store Cornes comes with tons of customizing options that will help you achieve the perfect online shop. This theme comes with fast loading speeds, a fully responsive layout and many other features. Another great example of a free website theme that was created with great care and attention to details is Nora. Nota is compatible with the powerful WooCommerce plugin, Jetpack and many other professional plugins that will help you make the best out of your website! We recommend Nora for any kind of online shop! Capri Lite is a very clean and versatile WordPress theme that we strongly recommend if you’re planning to create an eye-catching one-page online store for your business. This theme doesn’t require any effort and it will help you have your website up and running in minutes! Capri Lite is WooCommerce lite, WPML compatibility, quality support, a powerful Live Customizer and much more! 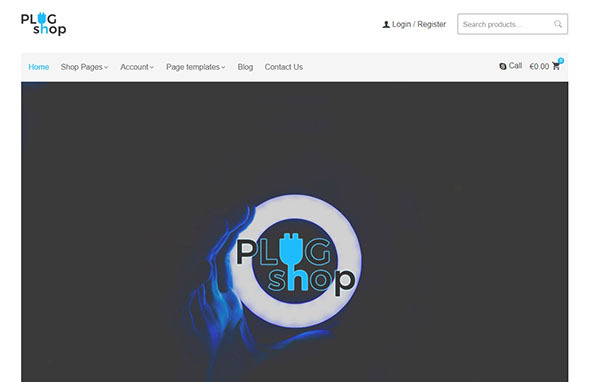 If you’re looking for the perfect website theme that combines a modern, clean design and full functionality, then Plug Shop is your answer. This theme is extremely easy to install and customize and it comes with various features that we’re sure will be very helpful for you. Hardware Store is a great website theme that you can successfully use to achieve stunning websites. This theme works perfectly for any hardware store. You should note that Hardware Store is a child theme of Storefront theme. Before you install Hardware Store you should first install Storefront and also the WooCommerce plugin for full functionality. 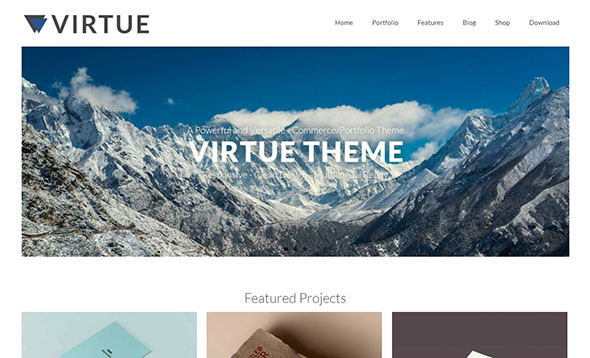 Virtue is a very versatile website theme created with powerful and fully functional online stores in mind. This theme comes with a very clean and well-organized design and many great features that you can use completely free of charge. Virtue is a fully responsive theme that will look and work perfectly on any screen size or device. You can even add portfolio posts and special pages if you want to showcase your work with the world. If you still haven’t found what you’re looking for, then we strongly recommend taking a look at Retailer. 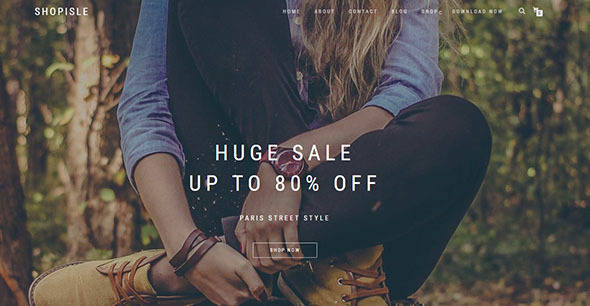 Retailer is a powerful theme created especially for eCommerce websites. It comes with lots of powerful features that can be used completely free of charge for your projects or ideas. 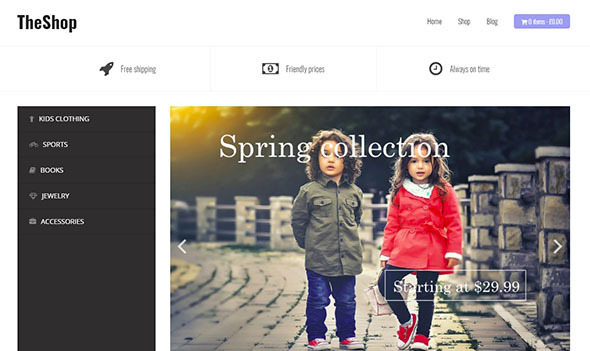 Retailer is a child theme of Storefront theme, so you should know that you must first install Storefront along with the WooCommerce plugin.